FORMER Lusaka Diocese Archbishop Telesphore Mpundu has warned of chaos in Zambia after the 2021 general elections following the failure of the national dialogue process. Archbishop Mpundu said that the next election will be characterized by violence due to the failure by politicians to agree to dialogue on contentious issues. 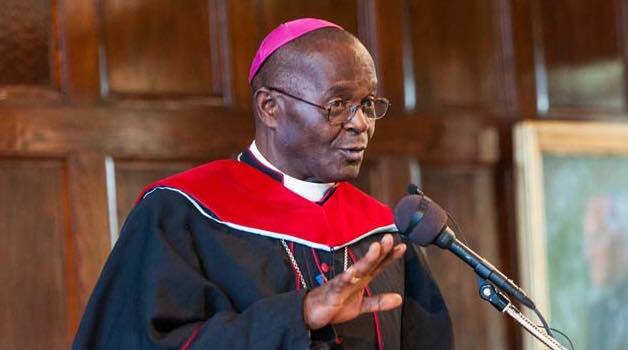 “The next election will be preceded by violence and during elections there will be violence and after the elections there will be chaos in this country,” Archbishop Mpundu warned. Archbishop Mpundu was speaking on Tuesday when he featured on Hot FM Radio programme hosted by veteran broadcaster Frank Mutubila. Archbishop Mpundu said it was difficult to understand why the ruling party became uncomfortable with the Church led dialogue process when it was President Edgar Lungu himself who requested for the Church to initiate it. He said he was honoured to have been one of those involved in the initial dialogue process. “I think the dialogue was a felt need probably in the ruling party, I say so because the one who asked for the mediation in the dialogue was the President himself, President Edgar Lungu and it was on the occasion of the ordination of the Bishop of Mpika and on the 12th of March 2016 and that was in view of having peaceful campaigns in the run up to the August 2016 general elections,” Archbishop Mpundu recollected. “So, he said it very clearly to the ZCCB, please, put us together as political players so that we can come to the national dialogue so that we can agree to act as civilized people in the way we do politics. I wasn’t there myself because I had a legitimate reason not to be there, but I was in the Chair of the Bishops Conference so when they came back and they told me, I said, look, we have always worked hand in hand with other Churches and so we can’t go it alone, it is not right and always two heads are better than one and here there are three heads which is excellent. So, we reached out to the Church Mother Bodies that this is the task which has been given to us, are you coming on board and they said we are very pleased and that is what we did”. Archbishop Mpundu revealed that the first dialogue meeting was later held at the Cathedral of the Holy Cross in Lusaka. “And through this interaction, we went through the first meeting at the Cathedral of the Holy Cross and there, representatives of political parties came and we agreed on nine resolutions that can guide our conduct as we went about campaigning and throughout the election period. Those nine resolutions, quite a number of them were very quickly destroyed, quite unfortunately, the people who were in the lead in destroying those were people in the ruling party,” he said. Archbishop Mpundu who has since retired said the situation degenerated and needed to be rescued. “What happened as you know is history, but it was our intention that we should not give up, so we regrouped after the aftermath of the arrest and incarceration of HH in the maximum security prison without any charge or any investigations. So, we demanded that for dialogue to take place, there is no way we could have dialogue when a key player is incarcerated and there was this high treason charge which was hanging around him,” he stated. “So, we continued and in the end the Commonwealth came in, the Commonwealth came in because of the intransigence of our politicians; if they had listened to us, Church Mother bodies, we wouldn’t have needed Baroness Scotland to come together with Professor Gambari, they would have come but we were not prepared to talk to one another,” he said. Archbishop Mpundu charged that the riling PF was the one behind the failure to record progress in the dialogue process. “Most of the times, it’s the political party in power that should reach out to the weaker ones, but this was not coming forth. So, after they came and that man was released, we wanted to continue this and they had to help us to own the process but already very hard lines were being adopted and one of the major players is the political party in power and they told us that they want those to facilitate the process to come from the Zambia Centre for Interparty Dialogue. This was the decision of the political party in power,” he charged. “The opposition political parties made it very clear that they wouldn’t feel secure if the ZCID took up the facilitation role, they wanted the Church to do that and this has not been accepted and we had a lot of things and articles coming up in the media. We didn’t ask to do this, we were asked by the President and this is what happened in 1990 and that is why they asked the Church to come in,” he said.